"The research is really, really clear on this." Dr. John Grohol is an expert in technology's impact on human behavior and mental health, and for the past 20 years he's studied how people operate online. He's the founder of mental health network Psych Central, and he knows all about the latest tools aimed at helping people deal with anxiety, depression and a host of other issues. And Grohol has never seen anything like Pokemon Go. "In terms of the phenomena of people expressing the benefits of playing the game to their real-world mental health status, I think that's very unique and it's the first time I've ever seen anything like that," he says. Srsly though, I haven't felt this comfortable leaving the house in years. #PokemonGO is helping with my anxiety & depression & it's amazing. Twitter is flooded with stories about Pokemon Go's impact on players' anxiety and depression, with thousands of people lauding the game for getting them out of the house and making it easier to interact with friends and strangers alike. These simple acts are crucial milestones for anyone struggling with depression, Grohol says. "The challenge has always been, if you're depressed, your motivation level is nonexistent," he explains. "So, you want to go out and get some fresh air, or even take a shower, and it can be a very difficult thing to even comprehend, much less do. I think the impact of something like this, this game, can really be beneficial." This isn't hippie nonsense: Research demonstrating the positive effects of exercise on people's moods goes back at least 20 years, Grohol says. "The research is really, really clear on this, that the more you exercise, the more it would help decrease feelings of depression," he says. "It actually works as an anti-depressant and it has a really, pretty strong effect. It's probably one of the most beneficial things a person with depression can do, especially if they're not accessing other types of treatments, such as psychotherapy or medication." Plus, walking around helps much more than your mental health: It can also help people lose weight, stay in shape and build overall healthier bodies. In this case, what's good for the body is also good for the mind. Roughly 43.8 million adults in the United States experience mental illness every year, according to the National Alliance on Mental Illness. That's one in five adults. The video game community is a magnet for people living with untreated anxiety, depression and other mental illnesses, says suicide prevention organization Take This. The industry itself is volatile, and it attracts particularly creative and highly educated people -- factors that can contribute to a perfect storm of untreated mental illnesses. Russ Pitts, the co-founder of Take This, says that hundreds of clinicians and advisers have told him the same thing over the years: Generally, the more educated or technically sophisticated a person is, the less likely he or she is to seek help for mental issues. "The sense is that because it's a mental issue and they're highly skilled in mental areas, they can think their way out of it," Pitts says. "And a lot of people try that, and it doesn't work." Here's where Pokemon Go can help. It isn't presented as a tool to help treat anxiety or depression; instead, it's a game that happens to cultivate healthy behaviors. Pokemon Go has got me up and moving and meeting new people. "It helps a person not even think of it as helping their mood because it's not targeted toward their mood. It's a game," Grohol says. "Because of the way that they've created the gaming dynamics, they've actually created a very strong reinforcement for people to go out and become more active." But for all of its achievements, Pokemon Go has limits. It may be a wonderful motivator for players to leave their houses, get some light exercise and meet new people, but it isn't a substitute for professional treatment, Grohol says. "I wouldn't recommend people look at this sort of game or any video game as an opportunity to treat a serious mood disorder, such as chronic depression, solely with a video game," he says. "I think it's a great adjunct to other kinds of treatment, such as psychotherapy and medication, but it should not be the sole treatment that person is using to try and help their depressed mood." 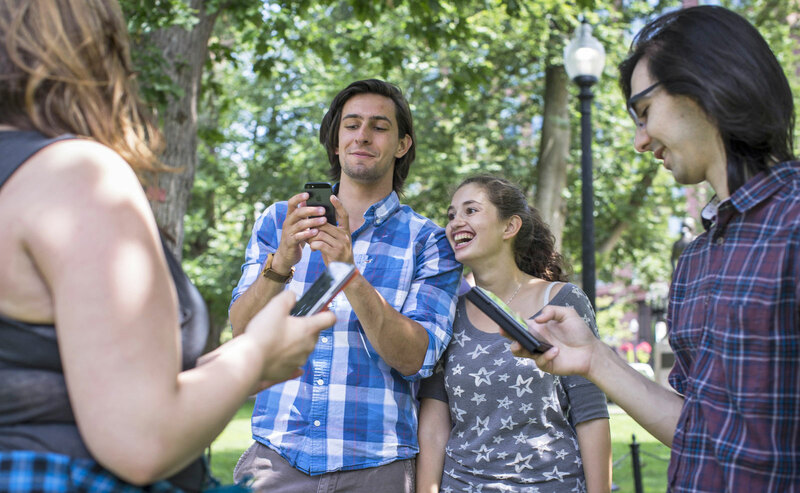 Pokemon Go can be an introduction to self-care, but it's not a cure. It's not even foolproof as a video game: Server outages have plagued Pokemon Go since its launch in early July, and the game doesn't extend to some remote regions across the country. If someone is using Pokemon Go as a healthy habit motivator and the game simply doesn't load one day, that can be a crushing blow. Similarly, someone who already feels isolated won't receive help from seeing their Pokemon trainer surrounded by miles of nothing, not even a stray Rattata. Pokemon Go is not a panacea for anxiety or depression in general, but for a lot of people it's a stepping stone toward healthier habits and positive self-care. It isn't perfect, but there's no perfect solution for anxiety, depression or any other mental illness. Players who have benefited from playing Pokemon Go can use this opportunity to take their treatment to the next level, Grohol says. "If this is what it takes to help you get a treatment or consider a treatment, by all means, this can be an excellent first step," he says. "But it shouldn't be a last step." I've made so many new friends with #PokemonGO, it's helped my social anxiety, and I'm actually getting out. This is more than just a game.